Renovations to Montreal’s Biodome will mean 4,500 animals who have called it home will be moving out temporarily. They will mainly be housed in and around the city during the major year-long renovation work which begins April 3. But temporary digs have also been found elsewhere in Canada and the U.S. until the Biodome reopens in late summer 2019. 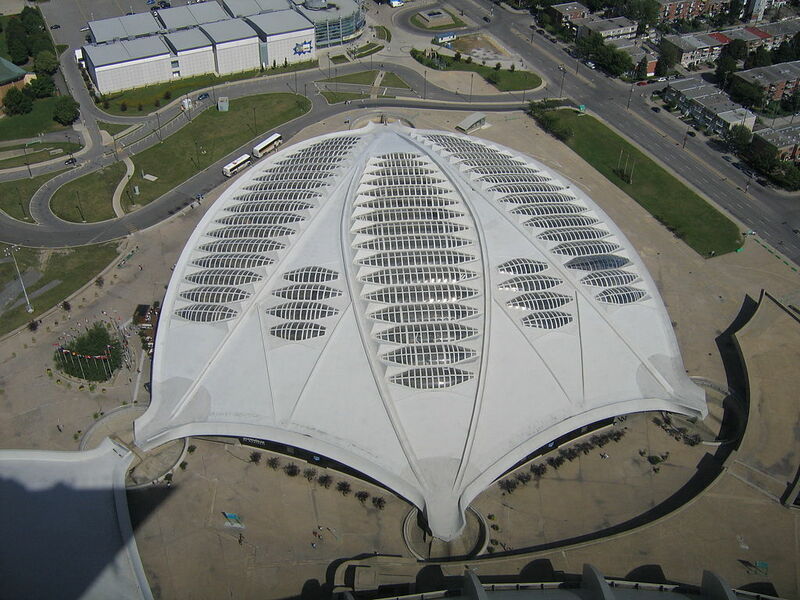 The Montreal Biodomo viewed from the Olympic Stadium. Photo by PitLutin. Officials decided that it was time for a facelift after 26 years of operation. Interim director Yves Paris, who has worked there since the start, says that, with a few exceptions like plants and fish, most animals will be on the move. “We found places around Montreal that we have modified to house animals and others will be sent to other zoos,” he said. Paris noted that the Biodome has partnered with an association of Canadian and American zoos and aquariums. “For example, King penguins will go to the Calgary zoo. . . we’ve been training them, preparing boxes to transfer them. Paris said when the $34 million work on “Project Migration” is completed, visitors will enjoy a more immersive, interactive experience. The tropical biome. Photo by Cephas via Wikimedia Commons. He cited as one example a big wall of ice that will be installed in the polar world ecosystem. “People will be able to really feel the cold and hear the animals, instead of being behind a window,” Paris said. The renovations include a new network of walkways to give visitors an overview as well as scenic design changes to the animals’ habitats. 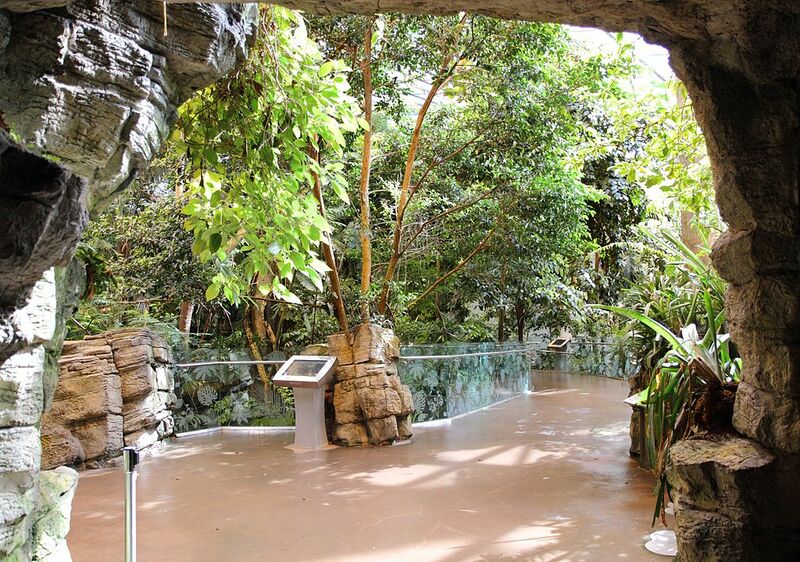 Paris pointed to one walkway to be installed in the tropical forest ecosystem will allow people to view it from above. 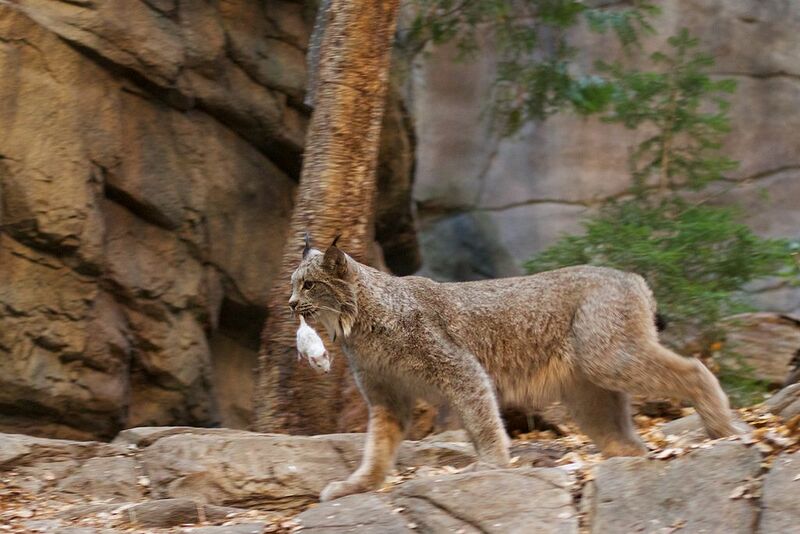 A Biodome Lynx will be among the relocated animals. Photo by Alan Levine via Flickr Commons. The new museum experience will also include behind-the-scenes views of the facility, which boasts over 800,000 visitors every year. The main objective is to attract 1.2 million visitors during the first 12 months when it reopens. The Biodome is a zoo, an aquarium, a botanical garden and a museum which displays 250 different animal species and 500 plant species. It opened in 1992 in the former Velodrome building from the 1976 Summer Olympics.